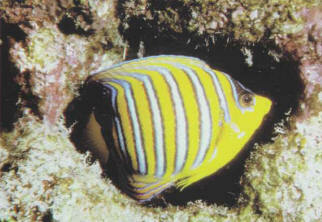 Somewhat unassuming, the regal angelfish loves to take shelter in nooks and crannies. In the wild it feeds on sponges; in an aquarium, it must be supplied with small food items: brine shrimps, mussels, and chopped shrimps. Size: 25 cm. ЯРД (англ . yard), единица длины в системе английских мер, обозначается yd. 1 ярд=3 футам=0,9144 м.